Although effective exploitation of groundwater resources represents the most cost-effective and sustainable solution to Lebanon’s water problems , the Lebanese government has gone on a recent “dam obsession,”  ignoring the associated environmental risks, cheaper alternatives, and core issue behind water shortages, namely severe mismanagement of an otherwise abundant resource. The Qaysamani dam in Falougha is yet another dam under construction in Lebanon, located on the Mghiteh plateau, which was proposed in the ten-year national water strategy of the Ministry of Energy and Water in 2010. The residents of Hammana, a Christian village, have been fiercely opposing the project since its inception, claiming that it threatens their central water source, the Chaghour spring, besides being harmful to the environment and failing to meet its stated objective of providing the specified volume of water (including good quality potable water), with its current design and specified location. 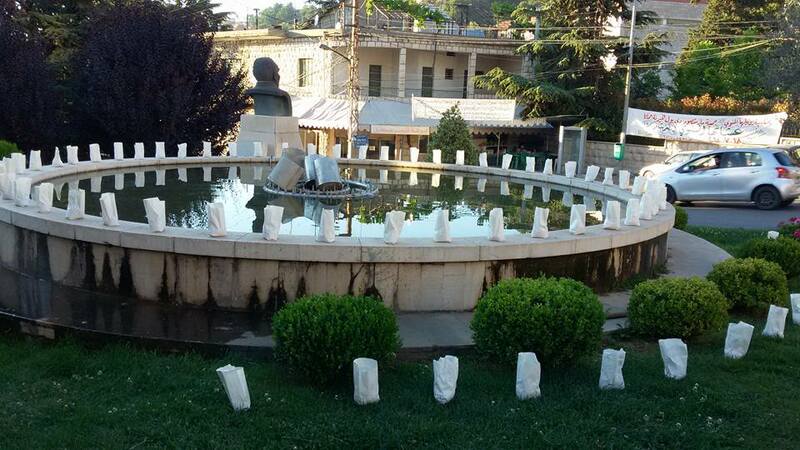 The country’s complicated sectarian dynamic, however, has infiltrated this issue as well, with other surrounding villages with largely Druze constituencies supporting the project, suspecting that citizens of Hammana want to rob them of the promised water resource. 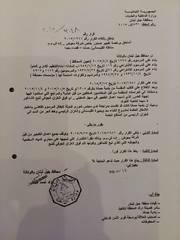 Meanwhile, citizens of Hammana claim that the political leaders backing the project have ties to the contracted company and will benefit financially from the Kuwaiti loan, although there is no evidence to back this claim. Scientific facts, however, highlight the irrational nature of the project. The location is a highly seismic area, one of the most active in Lebanon, and a study by professors at the American University of Beirut shows that if the wall collapses Hammana will be flooded within two hours . 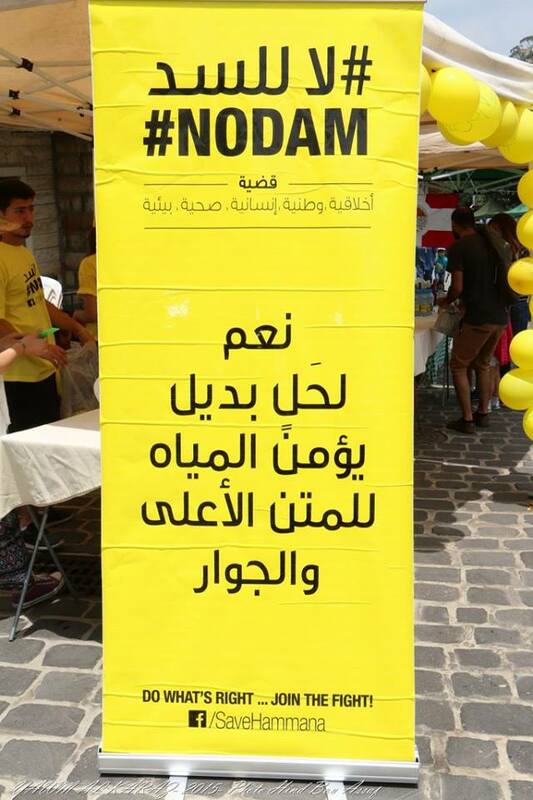 Ironically, campaign members state that the response of former minister of energy Gebran Basil to this concern was that only one house in Hammana will be flooded at worst, not being able to refute the claim that the dam might collapse. Moreover, the porous geology of the land and its Karstic nature make it unsuitable for a dam, which will lead to a high amount of leakage. According to Marie-Helene Nassif, a local of Hammana and a water expert, taking into account the costs and benefits of the project, particularly the huge loan that will have to repaid, the project becomes unreasonable. Dr. Naji Kodeih also argues that the EIA conducted did not explore alternative proposals, such as collecting water downstream from the Chaghour river, which would result in more water storage than building the dam. He claims that it seems the broader goal is not to make rational use of the country’s water resources, but rather building the dam seems to be an end in itself. As for the EIA, it was conducted for a project at a different location, in Qaysamani (hence the current name of the dam) but no EIA was conducted when the location was changed. Meanwhile, government officials kept blaming Hammana residents for slowing down this project with their actions and complaints. 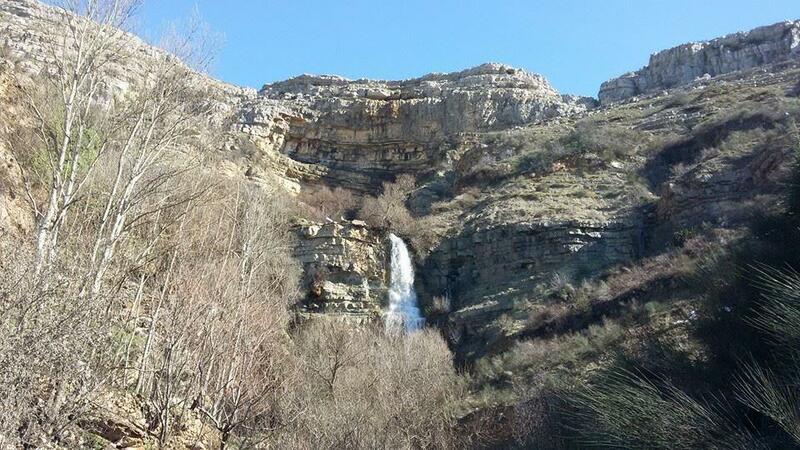 After the location of the project was moved to the Mghiteh Plateau, which falls in the protected territory of the Chaghour spring, the municipality of Hammana in collaboration with civil society started mobilizing against the project. There was a protest in 23 October 2013 at Dahr el Baydar highway, where residents of Hammana in the upper Matn area blocked the main Beirut-Damascus highway in protest to the Qaysamani dam project and the opening ceremony of the construction. Earlier that day, schools in Hammana had suspended classes and church bells were rung in protest. This was the day when former Minister of Energy and Water Gebran Bassil (currently Minister of Foreign Affairs and Immigrants) put the “founding rock” of the Qaysamani dam, in Falougha, in an event attended by various parliamentarians, unions of municipalities, and representatives of funders and the CDR. 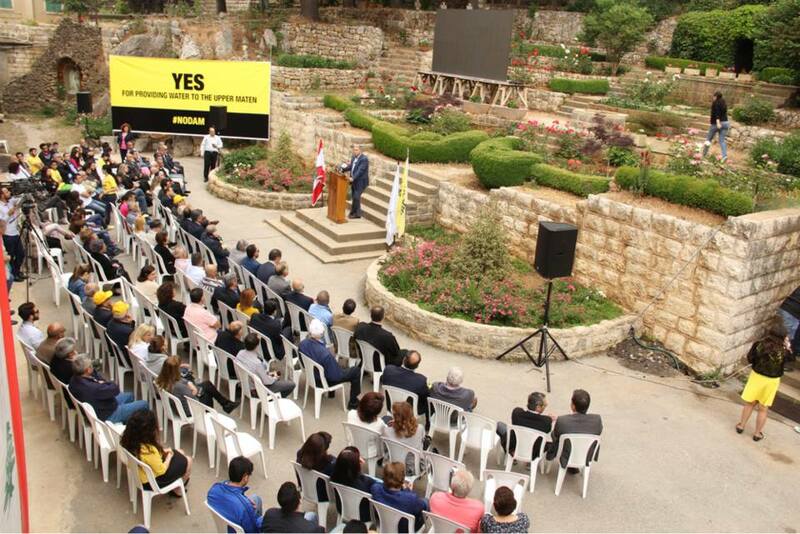 It is worth noting that in his speech during the ceremony, Bassil announced that the area is a protected area and no other construction will be allowed on it, while a few minutes later he announced that the dam will bring in lots of touristic projects to the area. Two plots right by the dam are already announced for sale. In addition to protesting, campaigners raised a lawsuit against the project to the Shura Council and called in independent experts from the American University of Beirut to assess the project. Early 2014, the Shura council ruled that the project should be stopped until more studies are conducted on its impact. However, after a temporary moratorium from February to July 2014, construction works continued. 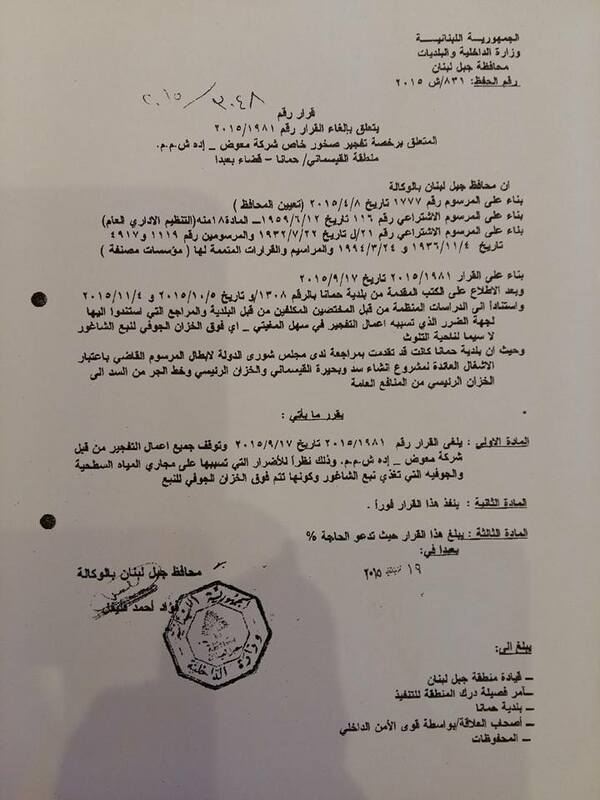 This was because in July 2014, which is the month of the “30tle kada2iyye’, the replacement judge cancelled the old decision within 24 hours of his shift and ruled to continue the project. Although campaigners asked for an appeal, the lawsuit has been pending since that day with no decision taken. Following this, citizens raised complaints to the Public Works Ministry and the Ministry of Energy and Water. A committee was assigned to investigate the matter, which recommended that construction works should stop, again to no avail. 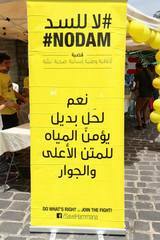 On 28 February 2015, the municipality of Hammana announced an emergency situation in the town and campaigners covered the whole town with yellow banners reading “no to the dam, yes to alternative solutions”. However, the head of the municipality was ordered to take down the banners by the Mount Lebanon Governor on pretense that it disrupts the peace in Mount Lebanon, and when they refused Internal Security Forces came in to forcefully remove the banners, after which residents of Hamanna blocked the main road in the village in protest, and took back the banners from the ISF and hung them on private properties instead. 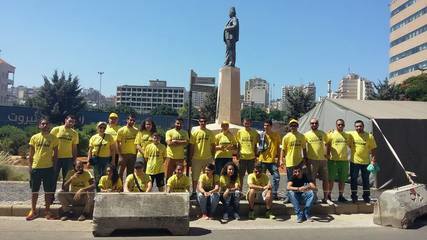 In 26 April 2015, the campaigners participated in the “Ashrafieh 2020” event to raise awareness about the dam in Beirut, and also released a petition against the dam, which got around 900 signatures in a few hours, including two MPs from the Lebanese Parliament and members from the municipality of Beirut. They also organized a conference in June 2015 titled “The Qaysamani Dam: Concerns and Solutions”. The campaigners stopped their action in July 2016, mainly because they lost motivation, especially since the dam was almost constructed. Since they were mainly focused on the diplomatic and legal strategy, their biggest challenge was that they got “lost in the system”, where no single ministry or authority took responsibility for the project and sent them in circles from one office to the next to talk to the “responsible authority”. Although they tried to reach out to all possible figures, including the political parties and civil society in the region, they could not make the project stop. The dam has now been constructed and the water treatment facility nearby is in its final stages of construction. However, a field visit to the dam showed that it is still almost empty, and only one of the water collection pipes is filling it with water. Meanwhile, locals of Hammana are already suffering the consequences of the dam, where the water sources in their houses have become muddy and unusable, and studies have shown it to be highly polluted and unsuitable for drinking. For the first time in the history of Hammana residents are forced to buy bottled drinking water instead of using tap water. Project Details The dam is projected to store 1 million cubic meters of rain and snow water and will supply 35 villages in Mount Lebanon with potable water. The names of these specific villages, however, are not provided in any official report. It is located on the Mghiteh Plateau which is within the protected zone of the Chaghour Spring. As such the law forbids any construction in the area, to avoid damaging the natural course of the spring, thus rendering the project illegal. Moreover, alternative studies show that realistically the dam can only store 650 thousand cubic meters of water, which means that it will provide each of these villages with only one tank of water a day. Development of Alternatives A group of engineers from the Hammana region have proposed capturing water downstream from the Chaghour spring and distributing it to the villages. The proposed project would provide a volume of water 5 times higher than the one to be stored in the Qaysamani dam. Why? Explain briefly. 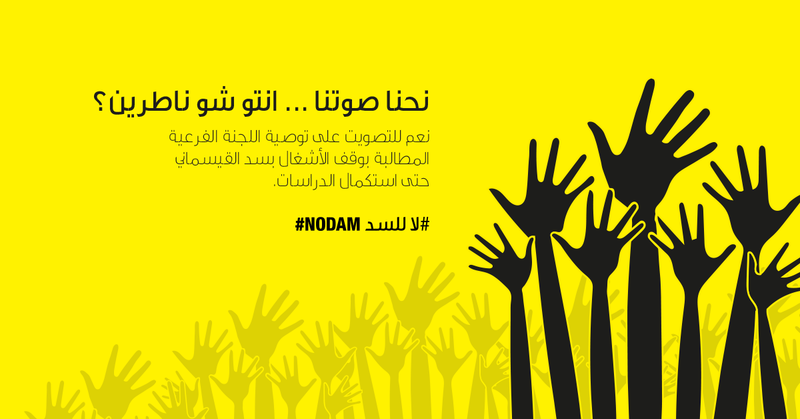 Although campaigners were not successful in stopping the project, they felt they had many "breakthroughs" in terms of learning how the system functions and its loopholes, which can all be used for future campaigning against other dam projects, especially since they understood the dynamics of the water sector in Lebanon. 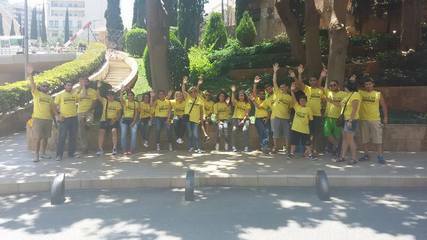 They also felt like they were successful in terms of organizing a campaign, where a civil society group was active on the long term with an actual strategy, something not very common in Lebanon. Both their successes and failures are examples to learn from.